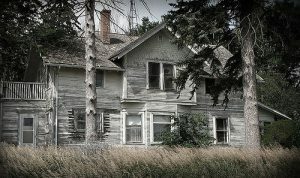 I’m aware of 4 different kinds of “hauntings”. You may know them by different names . . . or you may know of some that are “new” to me. From my understanding, these are the basic types of “hauntings” or “spirits” — other ones may fall into these categories. First there are Impression Hauntings. This is usually “left over energy” from a person who is now deceased. It’s not a conscious ghost, nor conscious ghost energy. This “impression energy” can also be given by the living. Huh? Let me give you an example: let’s say you’re a college student. At the beginning of the term you had good feelings about all your classes and viewed the text books as a welcome source of information. Later on, one of those text books became a source of great anxiety to you. The class was difficult and the subject matter was near impossible for you to grasp. So, over time, that book picked up on your anxiety to the point where you couldn’t even look at it without getting upset. And, if you sold the book back to the bookstore, your anxious energy would have built up in association with that book and would be left on that book. A sensitive person, upon touching that text book could detect this anxious energy you placed on it. I’ve had similar experiences with a particular chair or desk in a classroom. As though it was the “hot seat” — the one the teacher would invariably call upon to answer a difficult question. There was a build up of “anxious” energy on that chair or desk. The student felt it — and the teacher felt it . . . It could have been anyplace in the classroom — it wasn’t the location, but the seat itself. Second we come to the Loop Apparition. This is basically the same concept as an impression haunting, except of it being left behind energy on an object or place, there is an image associated with it — a ghostly apparition may appear which is a left over energy source of an event that occurred during a critical part of a person’s life.. These loop apparitions are not conscious ghosts. They are more like a recording, stuck on repeat and replayed over and over again of what the person was doing before they died. An example would be the Battle at Gettysburg. Many people have seen ghostly apparitions on this site. There have also been reports of people seeing Civil War soldiers sitting around a table cluttered with maps, planning their strategy. A friend of mine recorded an apparition that would come in through the front down and walk to the kitchen . . . then disappear. She recorded it on consecutive days — the same woman, same movement. I’ve heard of “hauntings” where a lit candle is placed in one particular window night after night. Or a woman walking night after night on a “widows walk” waiting . . . watching . . . That, I believe is an excellent example of an energy source apparition rather than a conscious ghost. Third, is one most of us are aware: Earth Bound Spirits. These are conscious ghosts whose passing was unexpected, usually through an accident or murder. They could also be of those who were not ready to “pass over” because they felt their life was “cut short” due to illness or had regrets of being unable to complete something important to them. This even happens to those who died peacefully in their sleep. They are unaware of their passing. These earth bound spirits remain in familiar surroundings. This could be the land, the house, a favorite place where they “felt at home.” That’s why many children haunt a playground of a school or even their classroom. If people loved their job, they may want to be there. And, there are those who have a treasured possession and want to stay near it. This happens with jewelry, household items such as cabinets, music boxes and various furnishings. They seem to move about in unpredictable patterns. 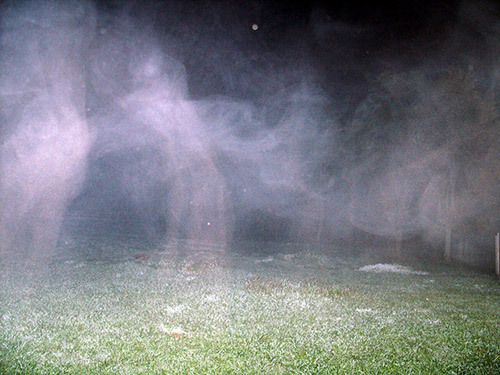 These conscious “ghosts” may interact with you. You’ll feel as though you’re being watched or followed when you wear a particular object. Or, if it is a household possession, you’ll feel as though you’re not alone in the house. I’m reminded of a story I read about a man who saw a woman every morning standing at the picture window in the living room. It was as though she was anxiously watching for someone to arrive. That’s a non-conscious loop pattern energy source apparition. She’s following a repeated pattern, completely unaware of the man watching her. These “earth bound spirits” can and do move objects, open and close doors, walk around the house day and night, etc. I had a “resident ghost” who would move my furniture around. Obviously, she didn’t like the way I arranged my furniture and kept moving my furniture. Sometimes she became fixated on a particular piece and would move it around — even to different rooms. It became quite annoying, so I sent my “resident ghost” on her way. Finally, we come to the Malevolent Spirits. I’m not at all fond of these non-human spirits. Their purpose is to cause bodily and emotional harm to living human beings. These are extremely rare, but they can come from evil or possessed deceased humans. They usually are attached to a toy or doll. They prefer contact with children rather than adults. We’re very aware of malevolent spirits being attached to Ouija Boards — more for the tween, teen and young adults. As I said earlier, their goal is usually to infest children, but they can infest anyone of any age depending upon the spirit’s motive. Brings to mind “Chucky” doesn’t it. Once you detect something malevolent about an object, get rid of it!!! That last one really freaks me out. These malevolent spirits can start out by being “friendly”, helping you find misplaced items or playing pranks on a bully. Then, once they gain your trust . . . all hell breaks loose. Be aware of ghostly visitations in dreams, nightmares, foul smells, loud unexplained noises, objects being moved or rearranged. One child, upon getting a new toy would find that his homework was torn up the next morning upon awaking. He also noticed the toy was never where he left it before going to bed. It appeared this malevolent spirit was always getting him in trouble by “stealing cookies”, spilling the contents of cereal boxes, dumping out the contents of the refrigerator, drawers and cupboards. Also cutting up the parent’s clothing. That may be why I don’t like the Christmas item “elf on a shelf”. And why many children are freaked out by it — yet it is still quite popular. Well, that’s enough of that!! I hope this was informative. Thanks for stopping by! As with any device you choose to use — a digital recorder, a camera, tarot cards, spirit box, crystals, candles, etc. — if you’re feeling afraid, please don’t use it. Some “spirits” may not be loving. Some messages may be frightening. That’s why it is important for you to surround yourself with a white light and protect yourself — even smudge the area where you’re using the spirit box. Also making it very clear that you’re only accepting messages from kind, loving spirits. As far as I’m concerned a Spirit Box is not a toy. It is a tool to use for contacting loved ones who have crossed over. After protecting yourself, be sure to call upon your spirit guides. And you may want to call upon angels to be with you during your spirit box sessions. 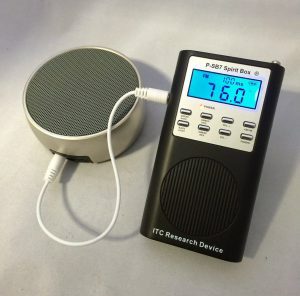 To be perfectly honest with you, I thought long and hard before making my purchase of the P-SB7 Spirit Box with DAS108 Orbital Bluetooth Universal Speaker. I’ve used pendulums and dowsing rods and a digital recorder in the past and thought it was time for me to step up to the next level. Currently, this particular spirit box model is not available until August 4, 2018. I won’t be receiving mine until around August 8, 2018, but I did order other items that will be delivered tomorrow. Every tool has its positive aspects. I found that asking “yes” and “no” questions at times became difficult. I wanted something more . . . more information. With the spirit box you can receive “yes” and “no” responses as well as words and short phrases. Don’t expect a whole drawn out paragraph for your answer, but I’m thinking that could be possible over time and tuning in to the right frequency. I just have to say that anything is possible. Much depends upon your experience and skill level when working with the spirit box. I’ve always been fascinated by the spirit word. Communication — safe communication, is what I’m seeking to connect with loved ones. My purpose for buying a spirit box was to get to know some of my relatives. To learn some of our family history. I do find it interesting how I do feel shy and like a child when I do communicate with them through a psychic or using other tools. I hope I can get away from that feeling. My goal is to get to know them better by sharing more than perhaps we were able to do while they were on earth. I would also like to connect with relatives I did not know at all — who passed either prior to my birth or shortly after. I basically have an open mind regarding what comes through. I know I have a week or so to wait for my Spirit Box, but I am planning my protection and my sessions. 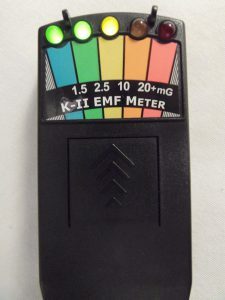 I do have an EMF meter coming tomorrow with some sage sticks. I do like having a supply on hand. I believe I have activity around my dining room table. There are times the chairs move and I’d like to know who is visiting me. Or if it is merely my imagination. I do believe it is always right to be respectful of spirits. They come through for a purpose. Maybe they have a message to get across to me or someone else. I suppose this is where spirit guides come into play by filtering those who do come. I’m not going to contact other people with messages — unless I know them. I think this is going to be an interesting journey for me. I don’t know where it will take me. I plan to record the sessions — mainly because I’ll have to play them back numerous times in order to understand what is being said. Most of the personal stuff will be for my personal use, but I plan to contact some “people of interest” if they wish to contact me. That may be interesting. Do you remember hearing about people who wrote stories and poems and even novels dictated through Ouija Board sessions? We know the warnings about Ouija Boards and I won’t go into those. I just find it interesting how some people contacted spirits who had unfinished manuscripts. You can Google this. I did find it fascinating. Most notable were Patience Worth and Mark Twain. There is also the channel of spirits that is a whole other arena. I do wonder if that’s possible with the spirit board. I think this may be very difficult, but it would be interesting. I’d like to hear an original real ghost story or two someone in the spirit world experienced. Perhaps get a bit more insight into some “hauntings”. As I said earlier, I do believe anything is possible . . . Yes, a haunted cabin deep in the woods of Tennessee. It’s always exciting to see in real time and receiving honest reactions when strange paranormal activity happens right in front of you. Most of the time, many of us don’t have the peace of mind to grab a camera . . . but with trained professionals such as Patty and her G Team and friends, although relaxing after a long day of investigating did decide to turn on their cameras and get out their EVP box. The video is quite long, but it is worthwhile to watch the whole video and stay tuned for the second part. I truly believe this is a real ghost story — that chair didn’t rock as I had expected it to. I thought it would rock a bit harder which tells me it was an honest and true ghost sitting there and gently rocking it — as one normally would while sitting quietly on the porch. There was also an honest to goodness ghost at one part of the video . . . but I also think I saw it sooner in the video . . . but it could have been the light. Let me know what you think. Something was definitely on that porch with them!!! I got goosebumps a few times while watching the video and listening to the EVPs. I remember watching either something on television or on-line at least 15 to 20 years ago about being careful when viewing programs involving paranormal activities. At the time I wasn’t too concerned about it and thought the “warning” was a hoax or hype to get more views. But the more I thought about it . . . and the things I’ve experienced, I decided to always have sage burning and also say a prayer of protection . . . and pretty much go all over my house with the sage smoke and repeating a prayer. One experience I had while watching a YouTube Video that creeped me out was the shower curtain falling in one of my bathrooms and writing inside one of my cupboards in the kitchen which repeated something that was said in the video. I was so creeped out that I emptied the cupboard and painted over it. The writing did bleed through, so I repainted it. And, yes again it bled through so I spackled over the writing, let it dry and repainted. I can’t explain why the shower curtain fell nor the writing in the cupboard. I just know it happened and I do get a creepy feeling when I go into that bathroom and open cupboards in my kitchen. I have called in “professionals” and have been told my house is very active. I’ve encouraged several “ghosts” to leave . . . which they have done, but for some reason I still have activity in my house. I am definitely not a skeptic. Strange, uncanny, paranormal, if you will, things do occur more often than not. I do look for a logical explanation . . . and sometimes I can’t find one. So, I do have an open mind and subscribe to many YouTube Channels where I may see paranormal investigators experiencing something similar to my personal experiences for an explanation. Thanks for stopping by, leave a comment and subscribe to The G Team Paranormal Investigators. Have You Heard Of The Dybbuk Box? Yeah . . . That box, sold at auction on eBay and was said to be haunted. Wasn’t there a book and a film about that creepy old thing? 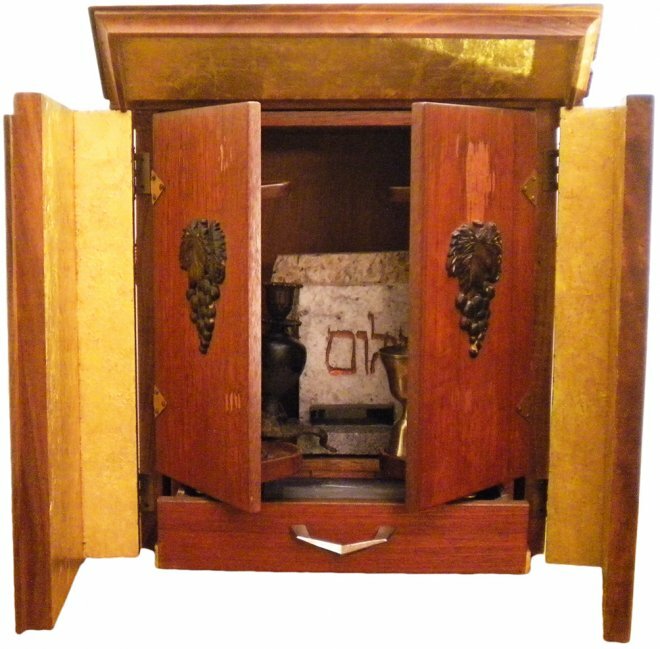 It’s a wine cabinet — a dybbuk box and also spelled “dibbux”. It’s said to be haunted by a dybbuk. That makes sense for a dybbuk to live in a dybbuk box. So . . . what’s the big deal? This real ghost story begins with Kevin Mannis. In 2004, Mannis put The Dybbuk Box up for auction on eBay. He’s a writer and at the time of the eBay auction owned a small antiques and furniture refinishing business in Portland, Oregon. In 2001, Mannis bought the Dybbuk Box at an estate sale. The box belonged to a Holocaust survivor of Polish decent by the name of Havela. She escaped to Spain prior to immigrating to the United States . . . bringing the box with her. According to Mannis, Havela purposely sealed a dybbuk inside the box. Evidently she and her friends were performing a séance when a dybbuk contacted her. Jewish folklore claims a dybbuk is a restless, malicious spirit believed to be able to haunt and even possess the living. a small golden wine goblet. These items, according to Jewish folklore, are for exorcising demons. That’s all fine and good . . . yet it appears the Dybbuk wasn’t exorcised. He was still in the box and when Mannis opened it . . . He had horrible nightmares involving an old hag. Even guests in Mannis’s home experienced these nightmares, too. He gave the box to his mother. Oh good grief!!! And, the same day he gave her that stinky old Dybbuk Box she suffered a stroke. I said “stinky old Dybbuk Box” because it did have an aroma about it of a cross between cat urine and jasmine flowers. The current owner of this Dybbuk Box is Jason Haxton, Director of the Museum of Osteopathic Medicine in Kirksville, Missouri. Haxton had the winning bid at the eBay auction, thus buying the Dybbuk Box from Mannis. Jason Haxton wrote The Dibbuk Box and published it in November of 2011. He developed some strange health problems including hives, coughing up blood and “head-to-toe welts”. While he had the box in his office, light bulbs burst. Haxton removed the box from the museum and locked it in the back of his truck. He parked it at his house and that night experienced the same nightmares of a hag-like woman as other previous owners. He contacted Rabbis to seal the dybbuk back in the box after he and his son noticed a black mass shaped like a flame in the room with them. Currently, Haxton has the freshly resealed Dybbuk Box hidden in an undisclosed location. Reminds me of a Genie in a Bottle or Aladdin’s Lamp. Although this tale creeps me out, I can say that it is an attractive box . . . one I could see myself buying in an estate sale . . . but in light of all this . . . I would have to take a pass. I don’t like inviting danger into my life unnecessarily. Oh yes, one more point . . . This was quite popular up until 2014 . . . so why am I writing about it? I know this particular Dybbuk Box is now sealed in an undisclosed location . . . but do you honestly believe that there is only one Dybbuk . . . or is it merely an urban legend . . . Maybe those owners got caught up in the hysteria of the legend . . .
Or . . . there are Dybbuk among us . . . hidden in some old antique cabinet . . . an armoire perhaps . . . or a lovely vase . . . just waiting . . . for . . . you . . . to discover it . . . and . . . set it free . . .
That’s what we want . . . or is it! A great image of ectoplasmic goo that is transforming right before our very eyes into a human form. I was over on Twitter the other day and a “person to follow” suggestion was a woman author with a menopausal character who sees ghosts. I find it an interesting concept, but didn’t catch her name nor the title of her book. I’m wondering if she’s a “ghost whisperer” or goes out ghost hunting . . . I can only image this woman in a retirement community in Florida with all these ghosts hanging around waiting for a turn to talk with this menopausal woman. Or . . . perhaps it will be similar to Murder She Wrote where there were all these murders taking place in this little town . . . until Jessica had to move along and travel . . . It just got too suspicious to have murders taking place around one individual . . . I suppose we do attract our interests . . .
Well . . . that was an interesting detour . . . I hope you’ve had time to study the image above. The center left image looks a bit like Jack Skellington from the Nightmare Before Christmas. It may be his stance and those long legs. It looks like he’s wearing a suit or tux. Does the head look like a skeleton’s head to you? Then there’s the image on the left. I think it’s too big for Sally (keeping with the film theme). And what is approaching “Jack” from his left? It looks like a man wearing a hat. Are they shaking hands? The image on the left seems to be carrying a baby. Do you see them? Is that a portal they’re standing in on the grass? Does that look like a circle to you? Gazing at images and gazing through hours of video recordings is much like cloud watching or trying to see through the fog. Just on the off chance that you capture something supernatural to show your family and friends and anyone else who cares to see. And, for no other reason than it amuses you. As it does me. I remember as a child going outside and watching the fog roll in. Years later there was a movie called The Fog. Had I known that then . . . and what was in the fog . . .
Have you noticed when you’re quietly communing with nature, thinking of nothing in particular, just feeling at peace and so very calm is when you see something . . . something out of the corner of your eye? My grandmother had this huge front porch where we would sit after dinner. The only problem was other neighbors did the same and there were people walking by who would stop to chat. Quiet contemplation would have to wait until everyone settled back into their homes or were content to be quiet on their porches. I tried to be quiet so I wouldn’t be sent off to bed, but that would have been all right. I had the front upstairs bedroom with a lovely window seat where I could sit and watch out the window. There was the apparition of a man riding in a wagon like in Little House on the Prairie. I enjoyed hearing the clip-clop of the horse’s hoofs and the creaking of the wagon as it rolled down the street. It’s times like that when I set up my camera on a tripod, turn it on and wait. I don’t believe I have to go to a known “haunted” place to see what there is to see in the spirit world. I can do it from the comfort of my own patio. If I don’t see anything, maybe, just maybe the camera will pick something up. And there is always activity going on in the front of my house as well . . . but don’t tell my neighbors . . . They pretty much ignore me . . . But . . . I know what I know . . .
Ghost Hunting, in whatever form you choose is an enjoyable pastime. At the very least it would be nice to have an infrared camera for your night time picture taking and video recording. I also like one that I can use in the daytime. Not two cameras, but one that does both. Ghosts, in my experience, don’t only come out at night. I know, I’ve pretty much broken from my tradition of telling ghost stories and got all these random thoughts in the mix . . . but when one is looking for “ghosts” or unusual paranormal activity, one does need to clear one’s mind . . . or ramble on . . .
Kind of the spooky thing is . . . a ghost will pop up and make a comment about something I was thinking about . . . or I’ll get a thought in my head about something else — although related . . . Which reminds me of a place in Alabama a friend of mine told me about . . . I believe it was once a restaurant with a bar . . . The woman who owned it loved the paranormal and had more money than common sense . . . She collected items from known haunted places as well as from places where crimes took place. I’m not talking about trinkets . . . I’m talking about the actual bar from a haunted tavern . . . An old teller’s station in a bank where a robbery took place back yonks ago . . . and, of course, people were killed . . . This woman welcomed all kinds of odd things into her restaurant . . . along with any paranormal “ghosts, gouls or gobblins” that wanted to come along . . . and stay for awhile. And, yes . . . there were ghost stories from the workers who had the opportunity to work there. One of them I really like . . .
Every night at around 10 PM, a man would walk in and sit at the bar . . . he would order whiskey and then disappear . . . The young man tending bar would swear the man was real . . . dressed a bit old fashioned, but real . . . He never paid for the drink . . . and he never drank it . . .
Of course, in this same restaurant, there was a basement with items the owner bought, but didn’t have a place to put them . . . well, except in the basement . . . There were always sounds coming from there . . . usually whispering and sometimes loud bangs . . . and many customers and work staff alike had seen ghostly apparitions running through the dining hall . . . There was also a couple who would dance . . . a waltz . . . they were dressed to the nines, appropriate for their era . . . and dance the night away . . . It was a lively place. Everyone was sad when the place closed its doors. A friend of mine and I would muse about buying it and reopening it . . . I think it had three stories . . . Initially, I thought I’d move there and live at the very tippy top of the building . . . but then I thought better of it . . . plus the woman had no interest in selling . . . I thought, too, it would make a great museum and use all the space to display the whole collection of spooky stuff. I would enjoy archiving it and making a little booklet telling the tales from each artifact as well as the stories from those who saw ghosts, ghostly apparitions, heard sounds . . . or just got a creepy feeling. Well, nothing came of this . . . but I still think about that place from time to time.